Local adventurers share their inspiring stories during the 2019 Adventure Speaker Series. Five Rivers MetroParks and Wright State University have partnered to offer four presentations to inspire a sense of adventure in outdoor enthusiasts of all experience levels as part of the biennial Adventure Speaker Series. Kicking off in February, these captivating, all-ages talks cover such topics as cycling, stand up paddleboarding and hiking. A team led by Pete and his 15-year-old daughter, Ainsley, set out to stand up paddleboard (SUP) the Susquehanna River from source to sea. With a goal to link their 30-day paddle to the need for safe, sustainable water for humanity, the Savards’ adventure down the Susquehanna impacted their SUP team and people around the globe. Join them on their Global Water Consortium #SUP4WATER adventure. Wednesday, Feb. 27, from 7 to 8:30 p.m. at Wegerzyn Gardens MetroPark, 1301 E. Siebenthaler Ave.
Earl McDaniel cycled 3,642 in 38 days while traveling through parts of 18 states to cross the United States on bicycle. McDaniel, joined by his father in a support vehicle, was challenged by city travel, mountains and more. Experience cycling across the country with McDaniel as he shares his story. 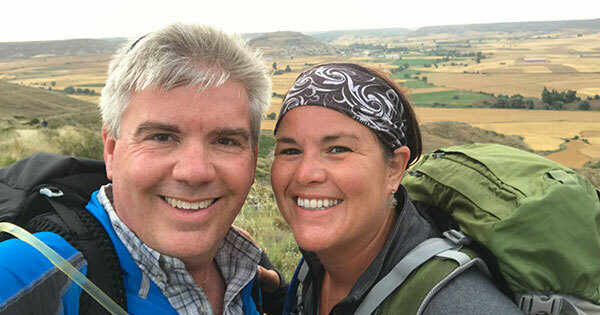 Thursday, March 14, from 7 to 8:30 p.m. at Wegerzyn Gardens MetroPark, 1301 E. Siebenthaler Ave.
From St. Jean Pied de Port, France, to Santiago de Compostela and on to the end of the earth at Finisterre, Spain, the Colemans hiked an average of 14 miles a day during seven weeks to complete all 550 miles of the Camino Frances in summer 2017. El Camino de Santiago is a 1,200-year-old pilgrimage across Europe, culminating in Santiago de Compostela, the final resting place of the Apostle St. James. Join the Colemans as they share stories about trip planning, interesting people, challenging temperatures and more. “We hope the Adventure Speaker Series presenters will be a catalyst that will inspire people to tackle once-in-a-lifetime, bucket list adventures,” York said. Find more events like "2019 Adventure Speaker Series"